I am quickly realizing that I need to pay more attention to my fellow bloggers out there. When Carl said this would be his favorite of the year, I screeched to a halt and thought, wha? A self-published tale? Really? Interest piqued and a tad bemused at the idea (please forgive my elitist tone) I downloaded Hugh Howey's Wool Omnibus and on a whim, opened it to read the first few chapters, fully expecting to not really get it. Instead, I was hooked. Instantly. I haven't been this excited about a book in a long time. I haven't been this eager to read a book every chance I got in a long line at a checkout counter. I actually was excited when I knew I had to wait in the stores fighting holiday crowds. Or waiting in line to get coffee. Sitting at a bookstore and foregoing all the other books I was buying for family and instead whipping out my iPhone to read just a few more pages. When was the last time I did that? Honestly, I really can't remember. Even though it's broken into five "short stories," I would rather describe it as five parts. Wool feels like one continuous tale about a society in the future forced to live in a silo buried underground because the air is so toxic that any who venture outside are poisoned, ultimately succumbing to their death. Living in a silo with over a hundred levels below ground consisting of all the necessary systems to function a society properly, people exist almost within a caste system with the "up-toppers" as the upper-class with a "view" of the outside and the down deep levels of the working class. Because no one can go outside for fear of death, only those who are found guilty of a crime of some sort are sent to "cleaning," which allows them to go outside with only one requirement: to clean the cameras and sensors which invariably get thick with grime and distort the feed of the images of the outside world back to the silo's residents. It is always a death sentence to be sent outside. Wool 1 sets the stage of introducing the silo, its residents and overall systems, and Mayor Jahns, Sheriff Holston, Deputy Marnes, and the IT group led by Bernard. It's been three years since the Sheriff's wife was sent outside, and he's never come to terms with it. Because I don't want to give anything away, I'll just vaguely describe that the remaining sections of Wool Omnibus delve into more characters, events, and such breathtaking moments of complete suspense that the idea of leaving the book to do something else seems utterly unimaginable. Everything is so intensely real that quite frankly, it's set the standard on any books I pick up for a long while. I still can't get these characters out of my head and I want more. My understanding is that there are at least three more parts to this tale and I am eagerly awaiting their releases. I couldn't believe how sucked in I was. Each character was so thoroughly developed and the action so intense that I happily read the entire book on my iPhone. That means about 1200+ pages (screens?) that I flew through, desperate to know what happened next. It is one of the BEST books I have ever read in my LIFETIME, and is my absolute favorite book of the year. This, when released in print next year by Simon and Schuster, will be picked up on the day of release and will rest nicely on my bookshelf next to Stephen King's The Stand, Elizabeth Kostova's The Historian, Ken Follet's Pillars of the Earth, and other favorites that I always want to have at my fingertips. As many of you know, science fiction is not one I'm that used to, so I can easily assure you that if your reading preferences include political corruption, mystery, thrillers, suspense, love, and more, I highly recommend that you step outside of your boundaries and do a dual risk of reading a self-published tale and one that just happens to be labeled as science fiction. The bottom line? I LOVED THIS BOOK. Ridley Scott has optioned it for a film. FTC Disclosure: I purchased and downloaded this story directly to my iPhone. 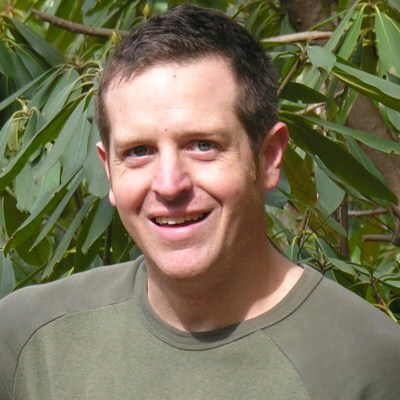 Hugh Howey is the bestselling author of the self-published phenomenon that is the Wool series. He is also the author of the Molly Fyde series and a host of others that can be found by clicking here. He currently lives in Jupiter, Florida with his wife, Amber, and his dog, Bella. I listened to the Audio version of this, which was self produced through ACX, and really enjoyed it. I was also surprised how sucked in I was to the tale, and loved that I never really knew what would happen on the next page. I'm glad you liked it! Oh yeah, I'll be buying a print version of this too, ostensibly to support Hugh Howey but really for the pure selfish reason that I want the pleasure of owning a physical copy of what will remain one of my favorite books too. Loved reading your review, you did such an excellent job both recapping the book (without spoiling it) and also in expressing your enthusiasm for the reading experience. I felt...feel...the same way. Although I've been pressing on with a lot of reading lately in the effort to clean up some loose ends before the year is over, and have been reading some really good stuff, Wool was special. Very, very special. I like that it acts as one large story despite the episodic nature of the various "books" and taken as a whole it is one amazingly detailed, engrossing works of fiction. I understand that the books First Shift and Second Shift are out now and Third Shift will be coming soon. I am not sure how long I'll be able to wait before diving into these prequels, of a sort. Thanks for taking a chance on this, I'm glad you had the kind of experience that my enthusiastic review promised. I love when you are excited about a book, so far you are my highest recommended book blogger (books I end up enjoying also). Wow! I am completely intrigued by your review! I have never heard of this buy it sounds like it had good word of mouth, especially with Simon and a Schuster now publishing it. I'm going to look more into this one! I gotta read this. I just added it to my Goodreads list. Wow, this sounds really cool! I'll have to get it when the print version comes out. I love being excited about a book like you described - great feeling! Just bought it for my Nook! How could I not, after this review? I had not heard of this book. Where have I been? I'll have to check this one out... maybe read it for the Sci-Fi Experience. You've convinced me too! Wow, I really really want to read this one now. Thanks for the great review!! Sure sounds like I need to pay more attention to fellow bloggers as well! Nothing but good things about this book out there so I just bought a copy for my e-reader. Thanks for the recommendaton! Sounds like I need to pay more attention to fellow bloggers too! Nothing but good things on the web about this book so I just bought a copy. Thanks for the enthusiastic review!